Detailed View of Unterreichenbach in Württemberg. Unterreichenbach is the ancestral home of the Eckers who apparently settled the area in the earliest 1700s. Sited on the Nagold River, it was a place involved in the rafting of logs from the Black Forest. As the Ecker family contained millers, it may have provided waterpower for that enterprise too. Note that there is a village of Oberreichenbach to the west of Calw. Unter- and Ober- refer to lower and upper to my understanding. While the church books of the 1700s occasionally refer to Reichenbach, I have not yet seen a reference to Oberreichenbach. There is a village of Reichenbach much further to the south that existed in the 1800s, it seems too far away to be part of this administrative region. (Indeed there are several localities named Reichenbach in this part of Germany.) In modern times, that latter village is very small and is named Reichen. I will try to sort our the distinctions when I visit the area. 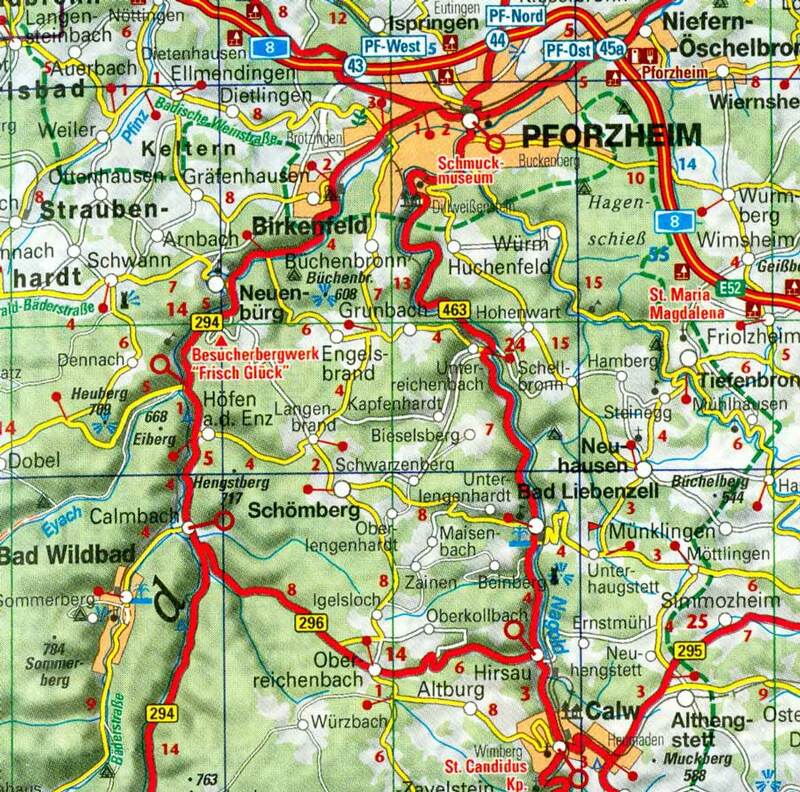 Other villages in this map that contained our early maternal ancestors in this line include: Hofen an der Enz, and Eutingen.